Blog - Surface Art, Inc.
How is Porcelain Tile Made? Porcelain tile has a very similar manufacturing process to ceramic. First slabs of colored clay are cleaned and mixed into a bisque. After which, the bisque is formed into a desired shape, fired at a low temperature first to clean the formed bisque, and then coated in a glaze. Finally, the glazed bisque is fired one last time at temperatures averaging 2350 degrees fahrenheit. 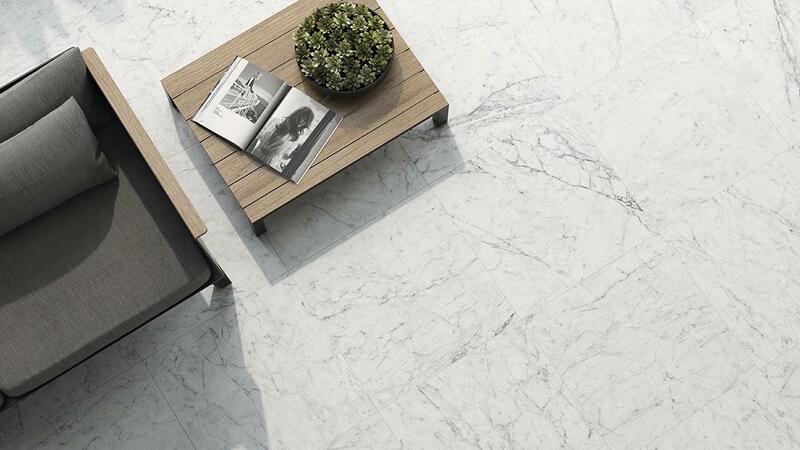 Porcelain tile is dense, impervious, fine grained, and smooth with a sharply formed face. The color may run consistent through the body of the tile (full-body) to minimize the appearance of chipping. 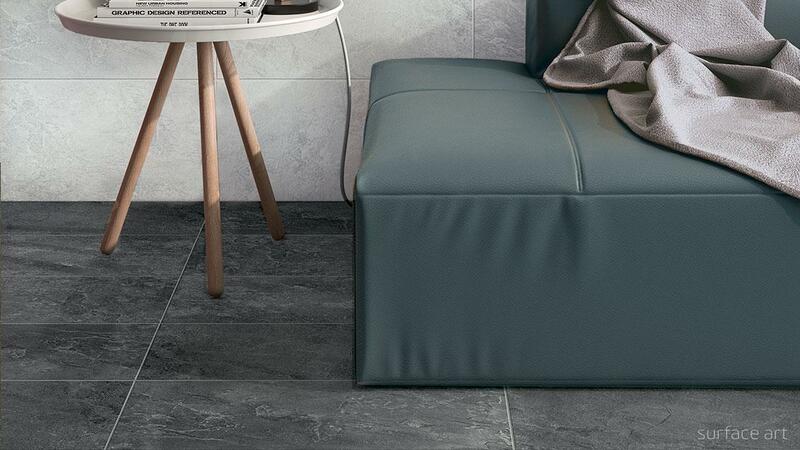 Glazed porcelain tiles are much harder and have more wear- and damage-resistance than ceramic tiles, making them suitable for any residential and light commercial application. Our Mountainside and Carrara Elite porcelain tile are excellent examples of porcelain tile applications for high traffic areas. They both are made of impervious porcelain and have a higher PEI rating of IV—the second highest. Mountainside comes in a 12”x24” in. maximum size making it a great floor tile in residential applications. The Carrara Elite comes in sizes upwards of 24”x48” making it useful for commercial applications. Glazing also results in a porcelain tile usually having a much lower water absorption rate than ceramic tiles, making them more frost resistant and a perfect accent for exterior and interior uses. 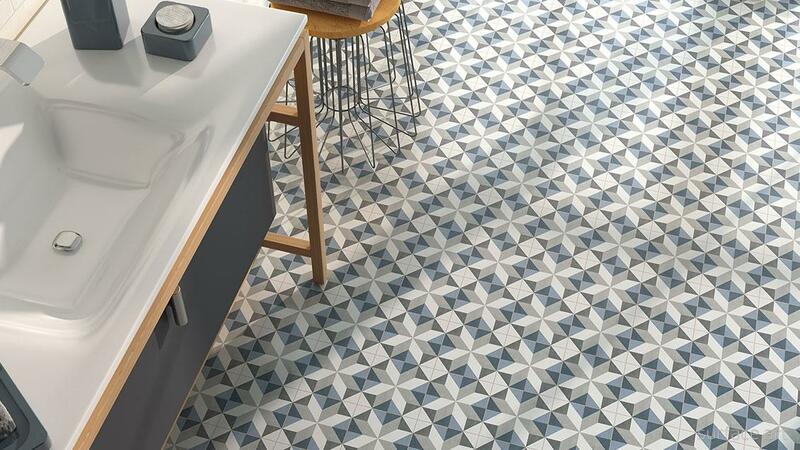 Our Spanish made Mallorca porcelain tile in geometric and floral glazing options will add dynamism and energy to any bathroom or kitchen floor. To learn more in-depth about ceramic, porcelain, and their unique differences and applications, read through our Surface Art Tile Education page. In our last blog post we wrote about ceramic tile. Differentiating Ceramic vs Porcelain Tile, by Surface Art Inc.
What is Ceramic Tile? by Surface Art Inc.
Take yourself back to the early days of civilization in Europe. Fine craftsmen worked tirelessly for Roman elite, pulverizing and grinding stones into finely powdered clay. This clay was then filtered to remove the impurities. Once cleaned the clay was mixed with liquid to make a bisque. After that, the thick clay-bisque mixture was pressed into a specified tile shape, hardened by firing the tiles in a kiln and often glazed with a unique color and texture. Today’s manufacturing process for ceramic tile is strikingly similar; the primary difference being vast improvements in quality control, increase in style variety, and more rapid means of production. Traditionally, ceramic tiles are thin slabs of red or white colored clay made from many types of rocks--shale, gypsum or sand are commonly sourced. 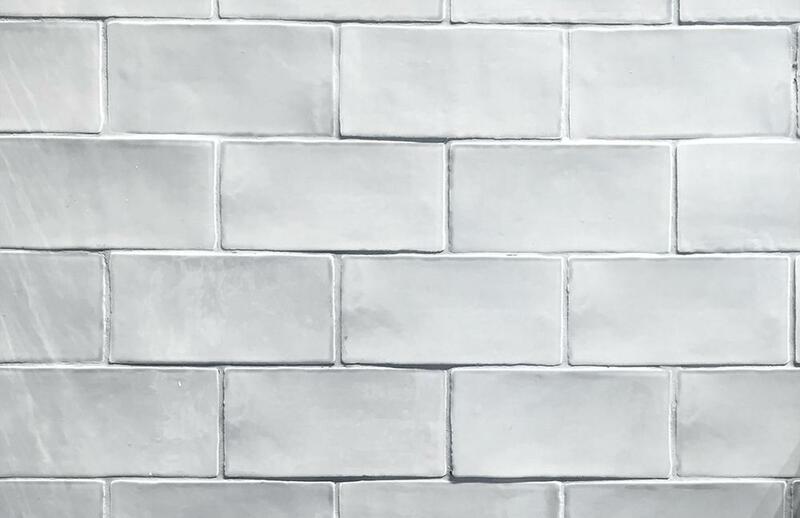 The bisque is then formed into its shape, where next the tile is coated with a glaze and fired in a kiln at averaging temperatures of 2100 degrees F.
Ceramic tiles are suitable for light to moderate traffic. Ceramic tiles are prone to wear and to chipping or cracking on forceful impact because they are porous by nature and less dense in their core. Additionally, the glaze on the tile does not go all the way through, so the core becomes obvious if the tile surface is chipped. One advantage to ceramic tile is their mass array of glaze styles, colors, and textures. All of which are produced at a fraction of the cost for natural stone or porcelain tile. In conclusion, ceramic tile is perfect for decorative applications on the wall or on counter-top surfaces with moderate to low usage. The multitude of ceramic glaze style makes it ideal for this application. Ceramic tile may also be used as a floor tile, too. However, ceramic is best suited for low-impact and water-free areas of your home. 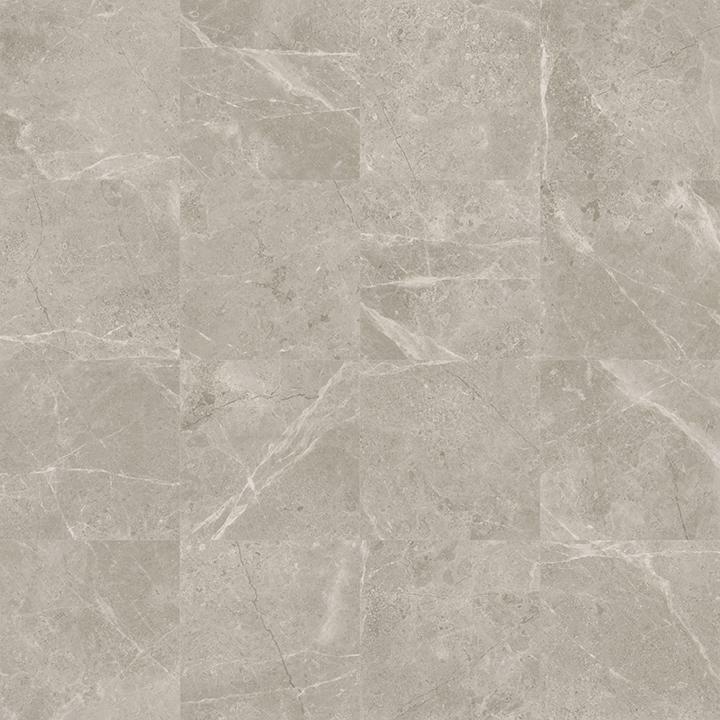 Cancun, high-density ceramic floor tile with a marbled look. To learn more in-depth about ceramic, porcelain, and their unique differences and applications, read through our Surface Art Tile Education page. We have a more detailed article about the differences between ceramic and porcelain here.